Third Prize in 7th National Essay Competition on Vehicular Pollution 2003 conducted by United Organisation of Schools in India,New Delhi; Ministry of Road Transport & Highways,Government of India. Hindi Sahitya Academy Puraskar for 80 % & Above in Hindi in class Xth. Prize in Essay Competetion conducted by Eco-club. Carried out Ecotoxicology Project"Effect of Nicotine & Caffiene on Aquatic organisms under the guidance of Dr.Ram Kumar. Rudramani Foundation Scholarship(monthly) during classes IX-X. 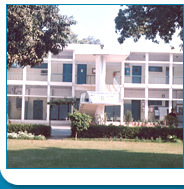 Yearly Scholarship from school during classes VI-X. Our College ANDC is the best college in DU, as our teachers are friendly, approachable, caring.They always share their every bit of knowledge & experience with all students. I had grown a keen interest in Biotechnology since I had learn about some of the basics in our textbooks.I made my mind to do something in the field of biotechnology.I want to study this subject just after my schooling,but I thought to start from the basics for which I have taken Zoology.My father want to see the cancer patients survive with the easy,advanced & most effective cure or medicine so he always inspire me to do something in this field & my interest in this field have grown stronger. In books I really really love bengali books, as they are always a class apart. I matured reading books of Swami Vivekananda, Tagore, Bankim Chandra, Sharat Chandra Chattapaddhay and many bengali writers. Though , bengali books are not easily accessible in Delhi, but I am deeply connected to bengali-my mother tongue with the help of my vast collection of bengali novels & short stories. I like watching cricket(ODI,T20,World Cup) only. I like all kinds of foods but Indian specially Bengali cuisine is of course the first choice. This page was last modified on 16 August 2009, at 06:32.